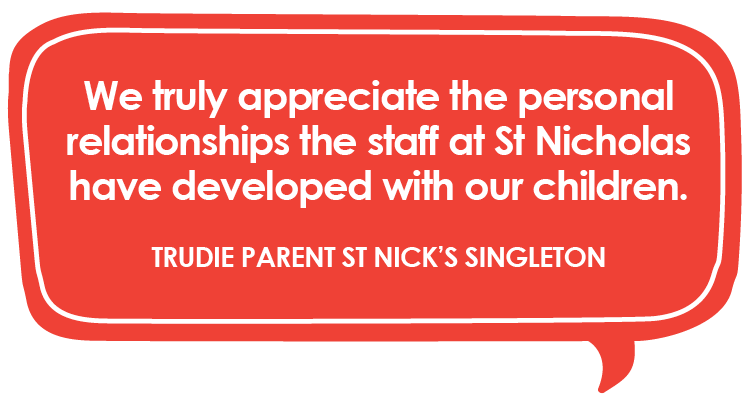 At St Nicholas Early Education we are committed to working collaboratively with families and the community to promote and encourage positive and respectful relationships. 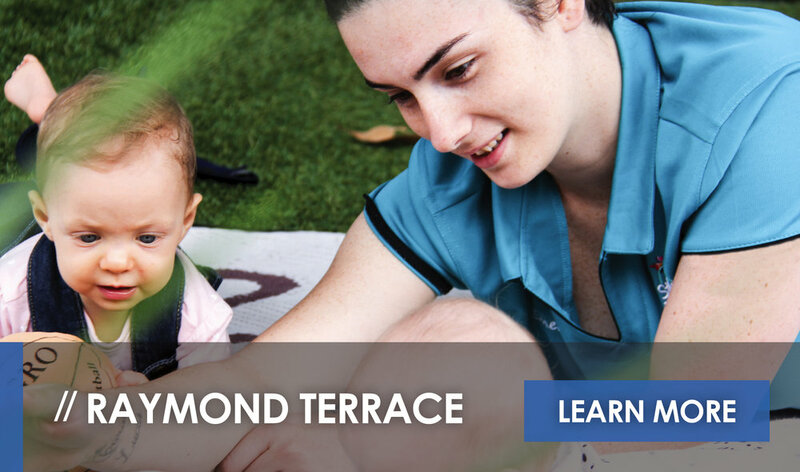 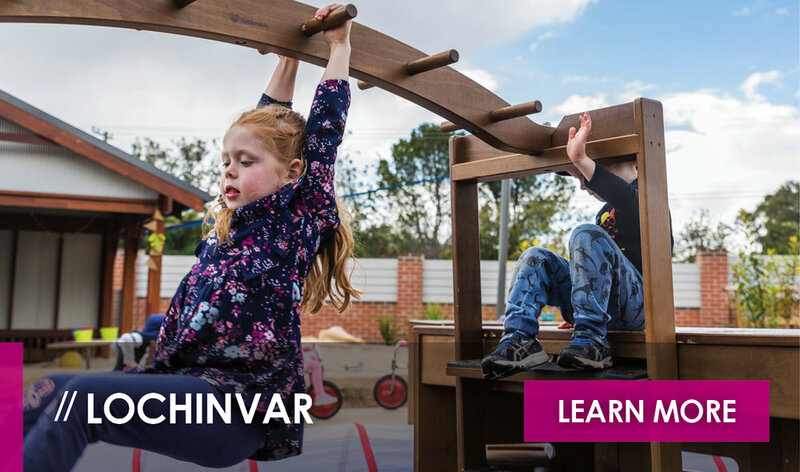 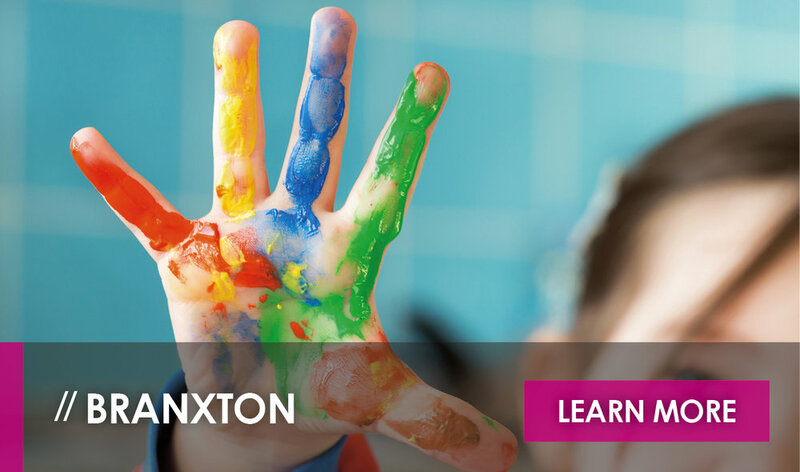 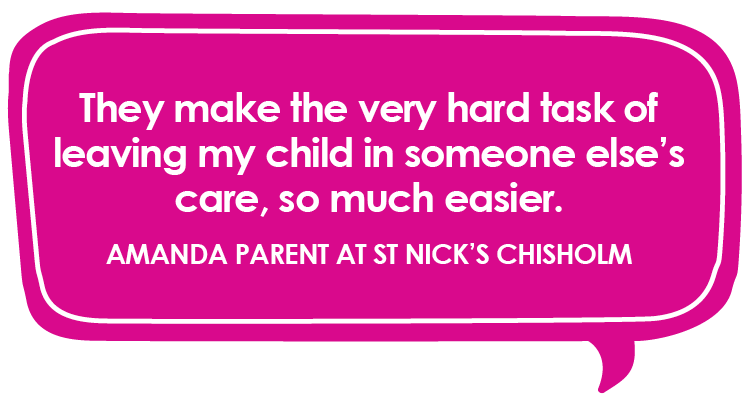 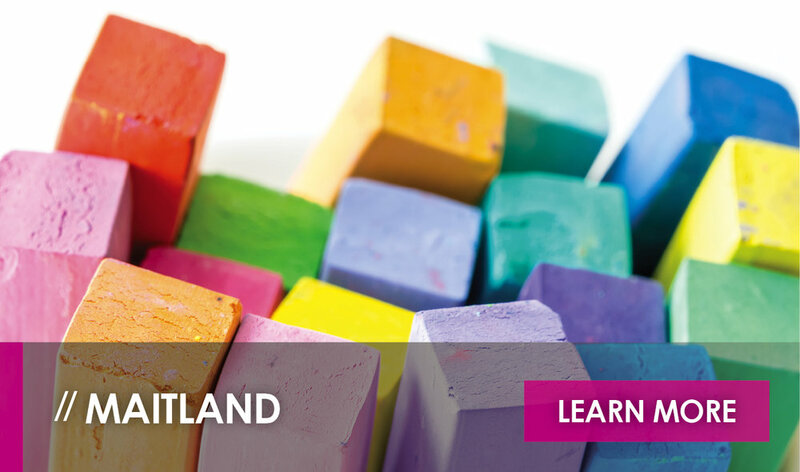 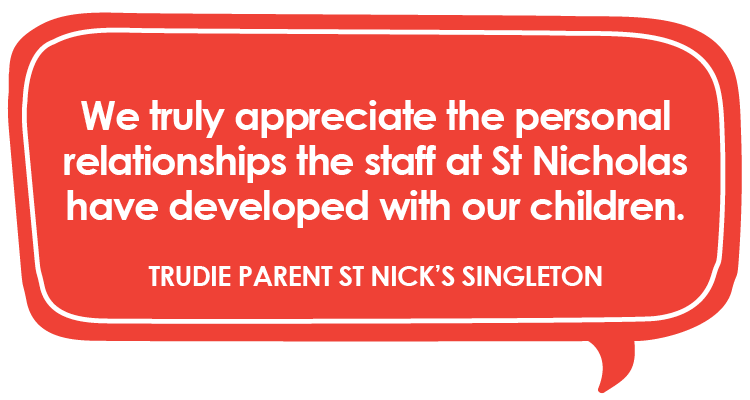 We understand that families play the most important role in the life of a child so our educators work with parents of children at St Nicholas Early Education to build a link between each child’s home and their early education centre. 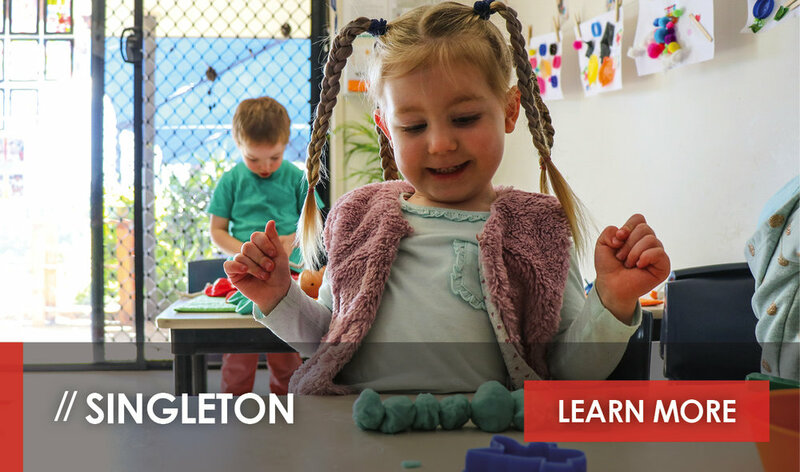 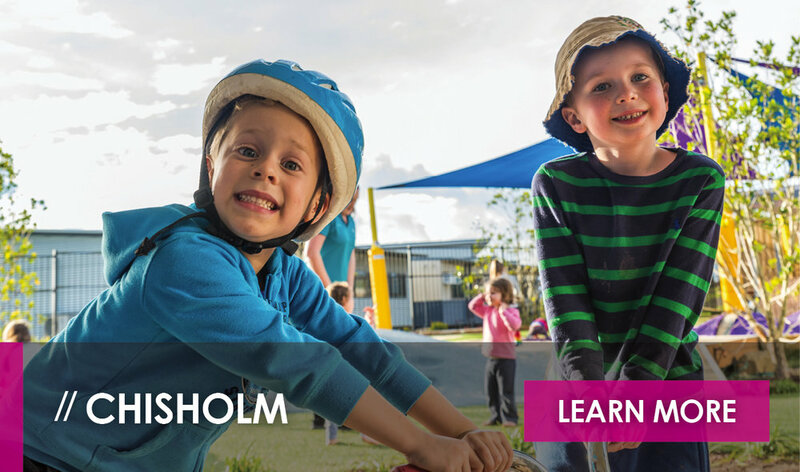 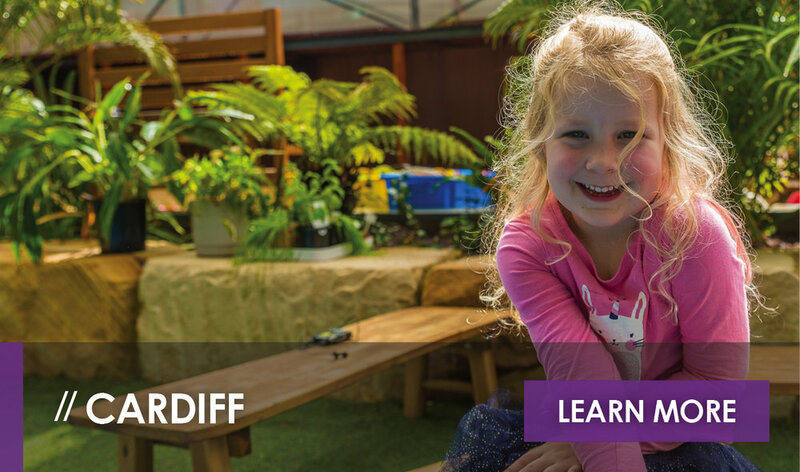 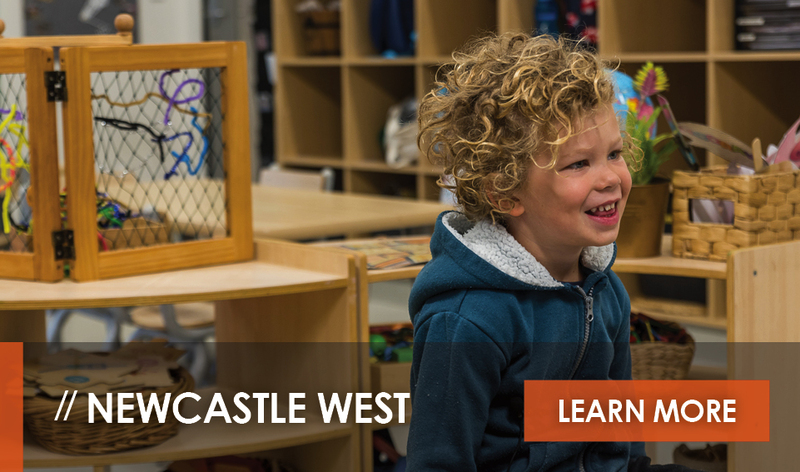 Through daily communication and shared decision-making we welcome families to assist us to provide the best outcomes for each child as they embark on their learning journey. 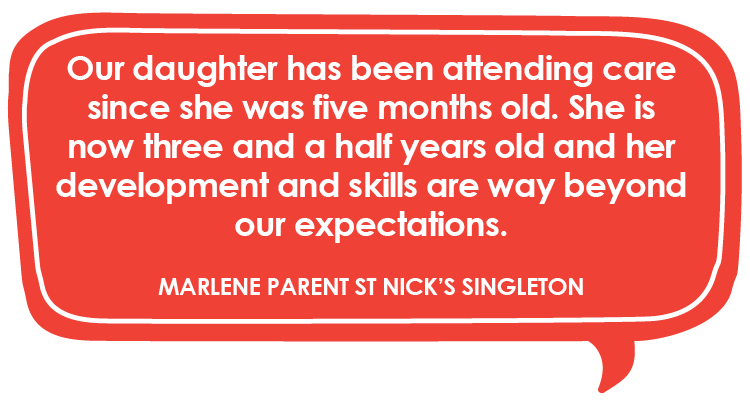 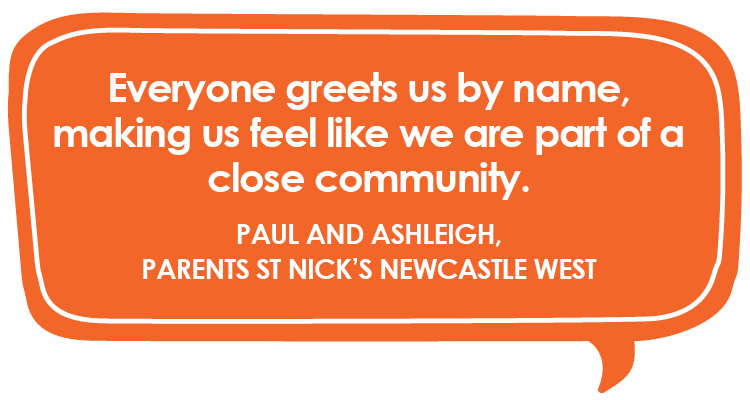 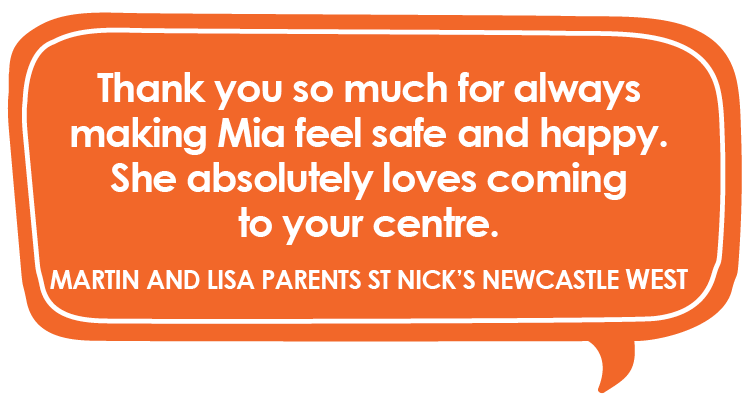 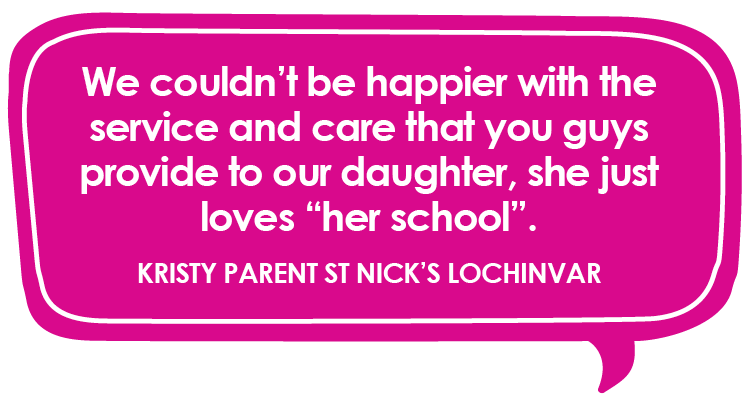 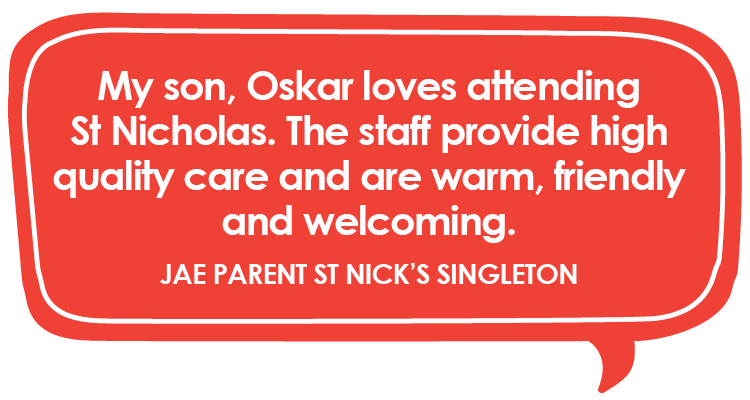 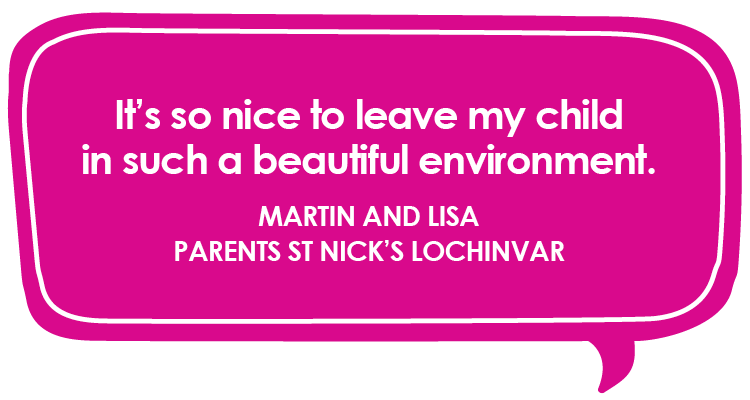 What our parents have to say about their experience with St Nicholas Early Education is of paramount importance to us and plays an important role in the ongoing development of the culture in each St Nicholas Early Education centre. 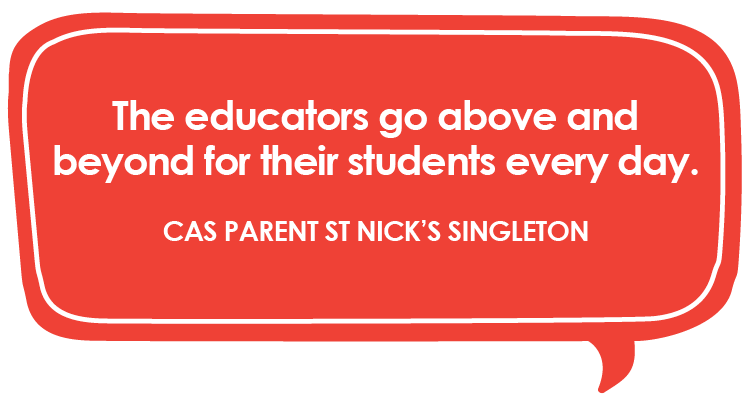 In the videos below, current and past parents share their experience bringing their child to St Nicholas Early Education.